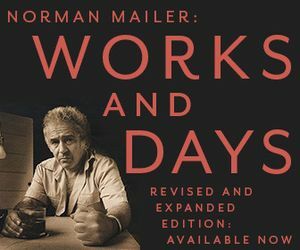 Buy my new book: Norman Mailer: Works and Days. If I have an interest in something, I've probably written about it. I'm gathering it all together on this site, and most of my better efforts are, or will be, linked below. “Distributed DH.” The Synapse June 4, 2015. “The Liberal Arts Are Dead.” The Synapse March 28, 2015. “The Liberal Arts Education.” August 18, 2013. “The Subversive Education.” December 11, 2011. “New Media.” December 23, 2013. “Be an Expert.” January 2, 2017.